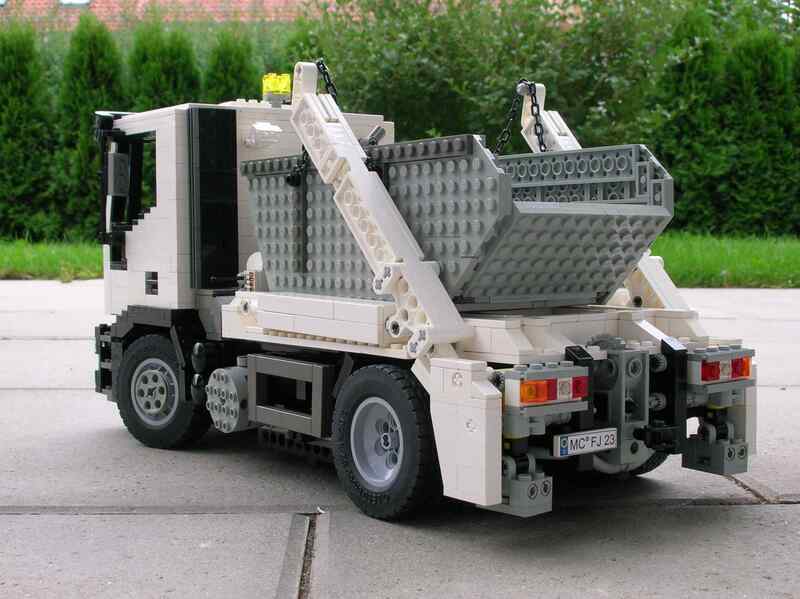 Today, a few months after having highlighted a MOC from Michael Andersch, for the first time ('MAN Dump Truck'), let me show also his 'LEGO Skip-Container Truck'. Not a novelty, but something it worths to see, just in case you haven't seen it before. More detailed photos from this model, can be seen from Michael's BS folder, here. Michael also have at YouTube, some additional videos from his truck doing load/unload operations, which you can see below.